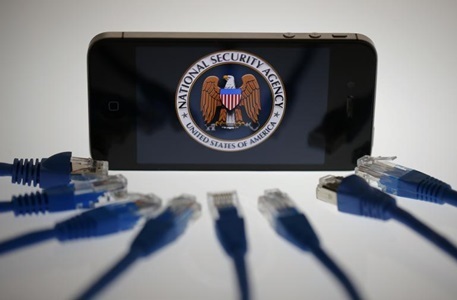 JNN 21 Mar 2014 Washington : A secret spy program developed by the National Security Agency and reported publically for the first time on Tuesday has given the United States the ability to digitally record the contents of each and every phone call occurring across entire nations. Citing previously unpublished documents provided by former NSA contractor Edward Snowden and statements from individuals with direct knowledge of the effort, the Washington Post’s Barton Gellman and Ashkan Soltani wrote that the US-administered surveillance system is capable of recording “100 percent” of a foreign country’s telephone calls. The program, “MYSTIC,” was launched back in 2009, according to the Post, but by 2011 it was ready to be rolled-out at full capacity and was subsequently deployed against at least one target nation. The Post says they are withholding details “that could be used to identify the country where the system is being employed or other countries where its use was envisioned” upon the request of US officials. Once it was ready to put to the test in 2011, MYSTIC and its “retrospective retrieval” tool known as RETRO were being used to indiscriminately record “every single” conversation occurring across the entire target country, the Post reported. Those calls — “billions,” according to the Post — are stored for 30 days, and the oldest conversations are purged as new ones are logged. Once the content entered the NSA’s system, however, analysts are able to go back and listen in as much as a month later to find information on a person who might never have been suspected of a crime at the time that their initial conversation was collected unbeknownst to them by the US government. Unlike the surveillance effort previously exposed by Mr. Snowden in which the US intelligence community compels telecommunication companies for the metadata pertaining to millions of Americans on a regular basis, the latest program to be exposed does more than divulge the basic user info and call duration details provided by metadata. Combined, MYSTIC and RETRO let the NSA collect the actual voiced communications of foreign parties, and without requiring the agency to explain why. Instead, the program systemically logs actual content, which the NSA can choose to disseminate at a later time if and when it decides to. “No other NSA program disclosed to date has swallowed a nation’s telephone network whole,” the journalists acknowledged. And soon, they added, the surveillance could spread elsewhere. According to the Post reporters, classified documents disclosed by Snowden suggest that blanketing spy programs could be extended to other countries abroad “if it has not been already.” One document reportedly suggests that MYSTIC was planned to be put in place across six countries as of last October. But while the NSA is barred from specifically targeting the conversations of Americans by way of blanketing spy programs such as MYSTIC, the Post warned that US persons are most certainly having their cell phone conversations sucked up if they call seemingly anyone located in a country where the program is carried out. Gellman and Soltani’s article — and the NSA’s subsequent response — comes only days after the United National Human Rights Committee questioned US delegates about the surveillance programs disclosed by Mr. Snowden since last year. According to the UN panel, some experts have suggested that “there would be no protection of rights at all” if other countries emulated the NSA’s activities as reported. This entry was posted in America, United States and tagged edward snowden, National Security Agency, NSA, Snowden, Surveillance Program, Telephone Calls, us. Bookmark the permalink.